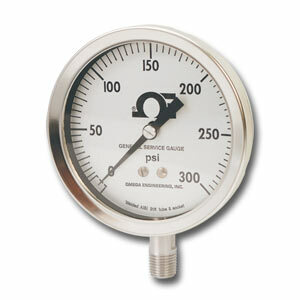 The General Service Gauge is corrosion, weather and dust resistant to combat hostile environments. Mounting versatility, excellent readability and sustained accuracy make this stainless steel case design a gauge leader. It can be stem, surface or flush mounted.